Experience Yoga Calm’s unique integrated and emotionally-supportive approach to yoga, mindfulness and social-emotional learning with a passionate community of educators and therapists in an inspiring setting. 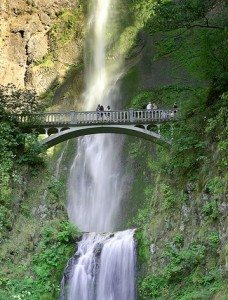 The Oregon Summer Intensive introduces the complete Yoga Calm system, its principles, research support and over 100 activities and lesson plans from the Wellness 1, Wellness 2 and Wellness 3 courses. These courses cover the entire Yoga Calm Wellness Curriculum including mindfulness and breathing exercises, simple yoga poses, social/emotional skill development activities, relaxation/storytelling processes and emotional guidance techniques. These activities are effective for a wide range of ages (PreK-12), settings, and populations, including special-needs children. 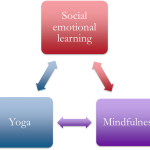 Yoga Calm has developed from over 35 years of classroom and counseling experience and research showing that teaching mindfulness, social-emotional skills and movement directly addresses stress and trauma, and develops attention, well being and academic success. Its award-winning materials are used by thousands of educators, therapists & parents. The course format, and the Yoga Calm approach, features a cycle of physical yoga, cognitive learning and relaxation/integration — for an effective, yet relaxed approach to learning. The Oregon Summer Intensive qualifies for 36 Clock Hours/PDUs/CEUs and/or 3 University of the Pacific semester-level, graduate credits. All coursework also applies toward the Yoga Calm Youth Instructor and Adult Instructor (RYT-200) Certification program. Certificate of training hours provided for all workshops. The Oregon Intensive is held each summer at Still Meadow Retreat Center, one of Oregon’s secret jewels, with beautiful gardens, incredible food and 60 acres of woods, grape orchards and trails. At the foot of Mt. Hood, 30 minutes from Downtown Portland and Portland International Airport, Edgefield Resort and the spectacular Columbia River Gorge and 90 minutes to the beach, Still Meadow is the perfect location for seeing the best of Oregon. There will also be ample time to renew your spirit with restorative yoga sessions, walks in the woods, great food, and a sauna for relaxation after each day’s sessions. Come early to the Intensive or stay late to explore Portland and Oregon’s beaches, mountains and other environs. (Monday afternoon is off and we end at 12:30 on Tuesday.) There will also be ample time to renew your spirit with restorative yoga sessions, walks in the woods, great food, and a sauna for relaxation after each day’s sessions. One of the highlights of the Intensive is the collegial sharing and support from other passionate and creative educators and therapists that come from around the world. Learning together in cohorts, the course series also provides a supportive environment in which to observe, practice-teach, develop new skills and nurture yourself. Our new hybrid course design for the Intensive allows you to begin your coursework as soon as you register with online videos, readings and resources. A great way to learn at a convenient time and location and to repeatedly watch and practice activities. Then in June you will be ready to deepen your knowledge with a full day of experiential activities and Q&A sessions. For those coming from out of town or local participants who would like more of a retreat experience, Still Meadow offers overnight accommodations. And, spouses are welcome to join you (for the cost of lodging + 3 lunches). We have been wanting to do this for years and now is the time. On Monday, June 24, we are putting together our first Certified Instructor Summit and Gathering. It will be held during our 11th Oregon Summer Intensive on the beautiful slopes of Mt Hood at Still Meadow Retreat. This special event features a diverse spectrum of presentations, discussion panels, and expert guest speakers on innovative techniques for addressing children's health and wellness, particularly as they relate to learning and therapy. An additional 5 clock hours is also available with this session. Monday afternoon is usually a day off for Intensive participants, but you are welcome to add this special event to your Summer Intensive experience. Here's more info, costs and registration information. Lynea is an innovator in the field of wellness education for youth. Her heart-centered, creative, and effective resources and activities were developed directly from her 35 years of experience as a school teacher, counselor and clinician. From its development in a behavior classroom in a rural Oregon town in 2000, Lynea’s Yoga Calm program has trained over 20,000 school teachers and counselors who have helped over 250,000 youth to develop attention, regulation and social skills. Her program is currently used in diverse settings, including Head Start programs, urban classrooms, occupational therapy clinics, the University of Minnesota Masonic Children’s Hospital, and even the Mayo Clinic. Lynea is also an adjunct professor at Portland State University and Lewis & Clark College. Jim is an innovator in whole-child education with an extensive background in yoga, science and educational media. He has four decades of yoga and meditation experience and has taught thousands of yoga classes to all ages and abilities since 1997. Jim has also taught adaptive sports for special needs children, pioneered national youth environmental science education programs for the National Science Foundation, co-developed 14 graduate-level college courses in wellness education, and has received eight national awards as a publisher.